Inspiring busy, overworked and overwhelmed professionals clarify their priorities, grow their confidence and live their greatness. It is not uncommon for people to chase lofty goals in order to make their lives better. 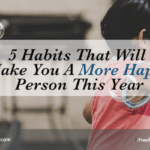 While it is true that progress and personal achievement can equate to a better quality life, often, it’s the small changes we make daily that results in dramatic shifts in our lives. 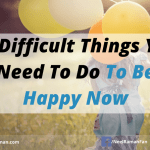 As we all want the same things such as more joy, more happiness, better relationships, more comfort, new experiences or a better lifestyle, we have different ways of pursuing these. Interestingly, most times, the things we want to experience in our lives can be acquired easily without the need for all the effort we put ourselves through daily. By installing daily practices, we can easily improve the quality of our lives, which will lead to more joy, more happiness, better relationships, more comfort, and new experiences. Experience joy and happiness on a consistent basis. Feel significant by knowing that our life has actually meant something. Know that we’ve fulfilled what we’re meant to do in our lifetime. Many years ago when I started working after my university studies, I knew there had to be more to my life than working in a manufacturing and engineering environment. I never felt that what I was doing actually mattered to me and was aligned with my highest calling in life, hence I started exploring other options. The level of dissatisfaction I was experiencing was the trigger for me to start making major changes in my life. On reflection, I could have implemented new practices daily that would have made things a lot more enjoyable and less strenuous as I made the transition to a new career. 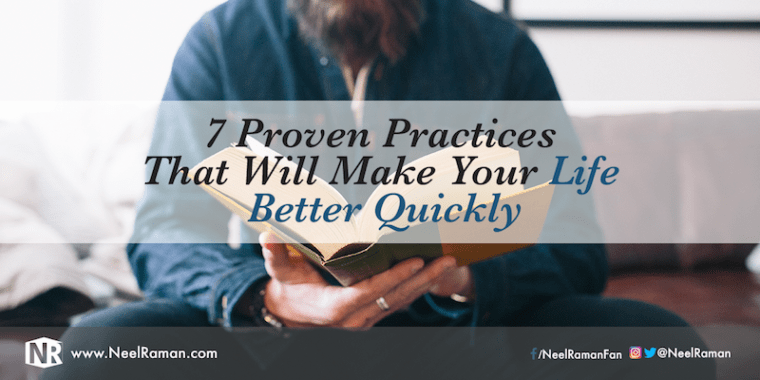 As we all want a better quality life, here are seven proven practices that, if applied daily, will make our lives better quickly, which in turn, can also make the lives of those around us better. Often, implementing small things can make a big difference over the long term. Smile every time you see yourself in the mirror. A question we should ask ourselves is, “When I first look at myself in the mirror every morning, what thoughts do I have about myself?” If we’re consistently treating ourselves like any other important person in our lives, then our self-talk and our self-image will improve. The better we think of ourselves, the more confidence we’ll have to do the things we really want to. Show appreciation daily. When we show gratitude, we’re more aware of the good things we are doing or have in life. 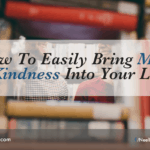 One of my mentors suggests doing a “rampage of appreciation,” which means giving ourselves time to be in state where we notice and appreciate as many things as we can. It can be from appreciating the carpet on the floor to being able to appreciate the clouds in the sky. The aim is to make us pay more attention to all the good things we have in life. Eliminate something daily. This could be from removing something from our workspace or desk to deleting emails from our computer. Clutter can often distract us from doing what we want to, plus it can also stifle our creativity and productivity. If we start removing something daily, over a course of a month or a year, we will make significant improvements in how we operate. Write down the most important thing you must get done today. This is the most powerful productivity habit we can form — getting the most important thing done everyday. There is a huge sense of accomplishment we feel when we complete something important. Over time, as we get more and more important things done, we will become more effective and get things done faster and easier. Fix one thing you have been tolerating. There are things we tolerate in life because we either believe they can’t be improved, or we haven’t got the power to make them better. When we tolerate things, we’re in a state of resignation and believe we don’t deserve what we want in life. Tolerating a broken light or a leaking tap, for example, means we unconsciously think we can’t have things exactly the way we want them to be. Have a complain-free day. This is something I still struggle with. It is so easy to notice what is not going right than to focus on all the things that are going well. When we complain, we actually put ourselves in a negative frame of mind, which affects our attitude, productivity and performance. By choosing not to complain, we are making ourselves focus on what’s going well in our lives. Laugh out loud at least once every day. We’re all so stressed, busy and overwhelmed that we sometimes fail to recognise all the wonderful, funny things happening around us. Laughter has been proven to bring benefits to our health and overall well-being, so laughing daily is very good for us. Once we start doing these small things daily, they will multiply over time and lead to a better quality life. If we know our life can be better but aren’t willing to make any changes, then we will continue to experience life at the same level we currently are. Action Step: Do a “rampage of appreciation” daily for five minutes for the next seven days. Notice the difference it makes to your energy level and your attitude. You may be pleasantly surprised. Question: What is another practice that will make our lives better quickly? You can leave a comment by clicking here. I am a #1 international best-selling author and my books include Ignite Your Leadership, Building High-Performing Teams, Transition from Manager to Coach, Sustaining a Leadership Culture and Hoops and Freedom. I am also a speaker, coach and trainer on personal development, leadership, productivity and business building. I live in Sydney, Australia. Learn more about me here. I speak on the topics of leadership, high performance and personal productivity. Click here to request more details. Learn more about my new leadership book here. ©2019 Neel Raman | Inspiring Greatness. All Rights Reserved. Ready To Have Your Best Week Ever?